KRIS YI serves as Vice President of Acquisitions at Fifteen Group, with responsibility for managing the acquisitions team and overseeing the pursuit, analysis, due diligence, and closing of new investments. Prior to joining Fifteen Group, Kris was Vice President of Asset Management at Rialto Capital, an opportunistic real estate debt fund, where he managed a portfolio of distressed assets, underwrote the acquisition of CMBS and distressed loan portfolio investments, managed the whole loan sales program, and supported the firm’s bridge lending platform. 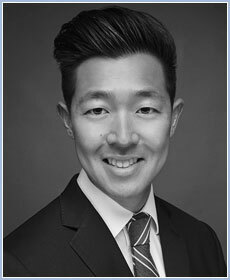 Kris began his career working in the capital markets group of a specialty finance company supporting all aspects of the firm’s financing platform by executing credit facilities and securitizations. Kris graduated from Saint Louis University with a B.S. in Business Administration and Finance and from the University of Illinois in Urbana-Champaign with a M.S. in Finance. He has also earned the Chartered Financial Analyst (CFA) designation and is a member of the CFA Society of Miami.